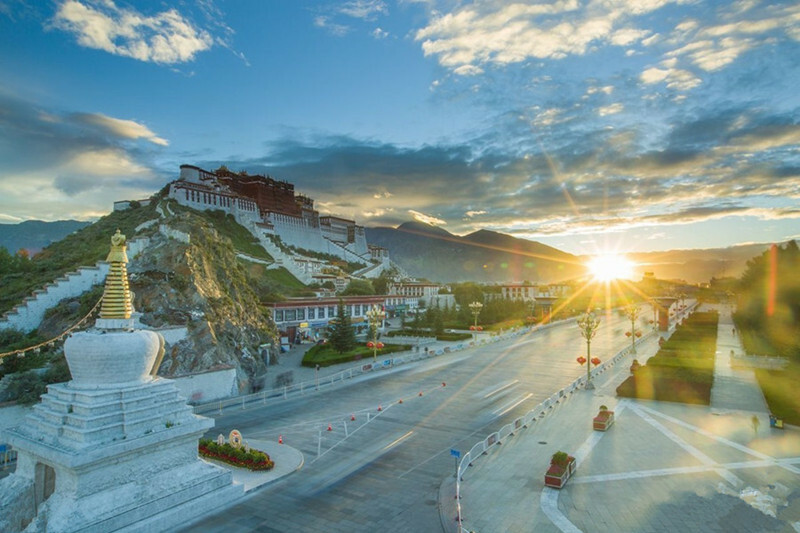 The Potala Palace is the biggest and the most complete ancient palatial architecture extant in China, which lies on the Red Hill in the northwestern Lhasa city in the Xizang Autonomous Region. 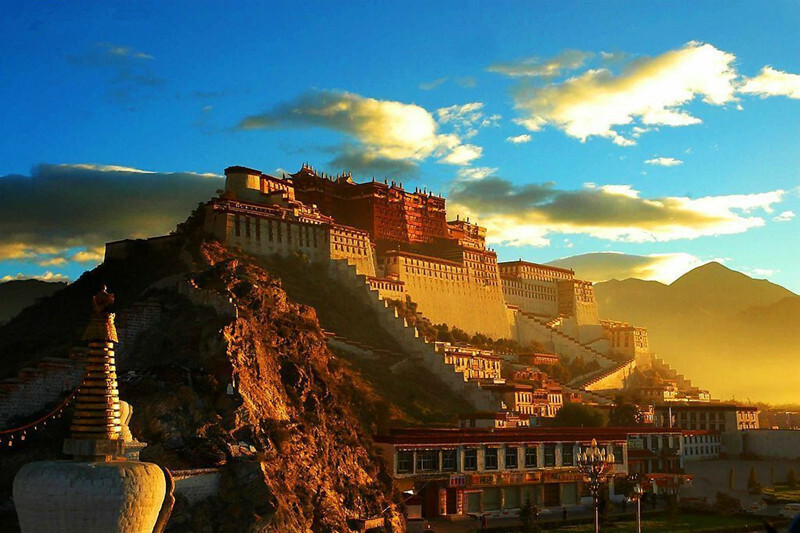 “Potala” is transliteration of Sanskrit “Putuoluo” which means “a famous scenic spot of Buddhism”. 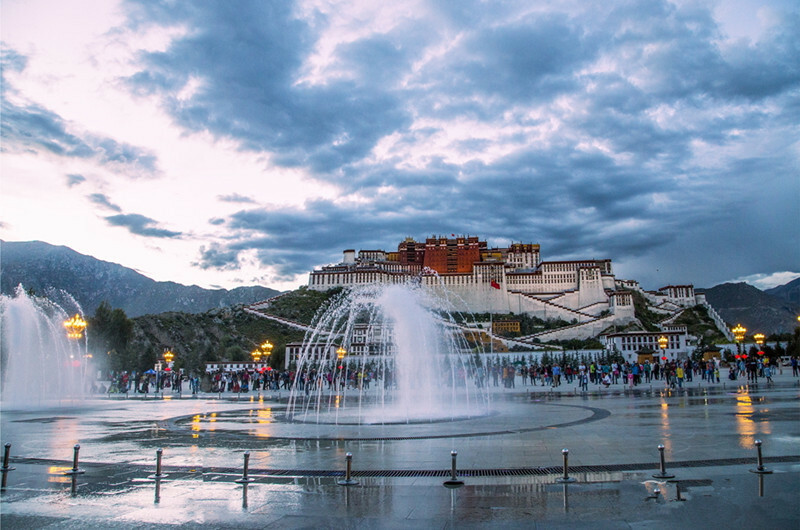 According to records of the “New Tang Book Tibet Biography”, the Potala Palace was constructed in the 7th century, which was constructed by Songzanganbu (a king of the Tibetan Regime) for getting married with Princess Wencheng. 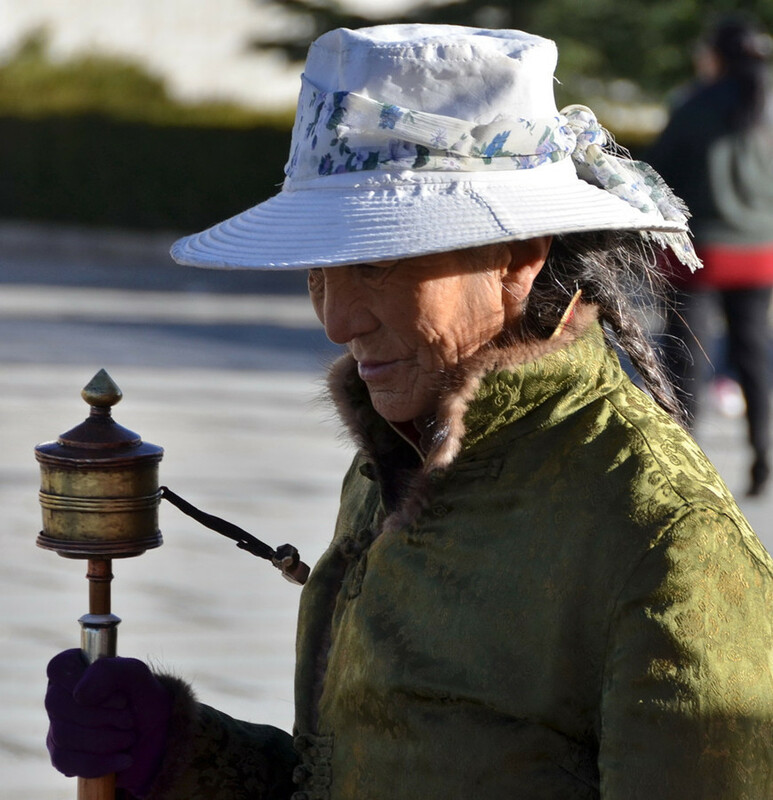 Later it was destroyed by thunder and lightning and war, and it became an ordinary temple. 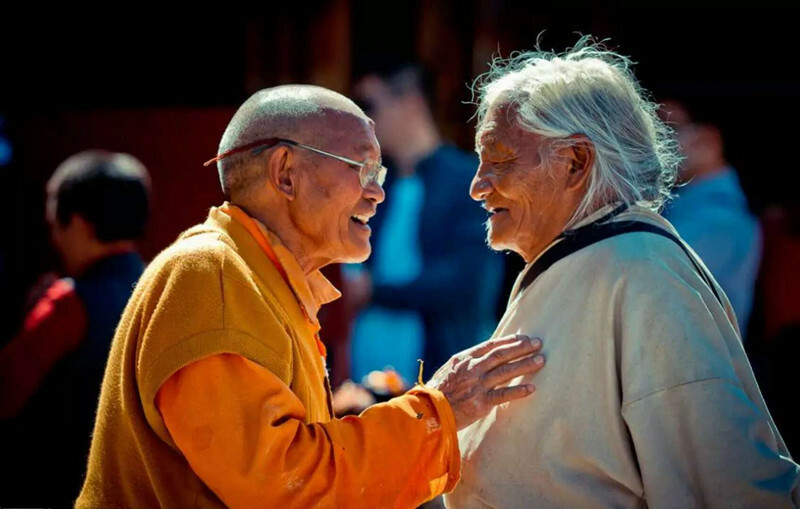 After generations of reconstruction and extension, in the second year of the Shunzhi period in Qing Dynasty (1654), the Fifth Dalai Lama ordered his Diba (an official position who manages government affairs on behalf of the Dalai) Sonanraodan to take care of the extension project. 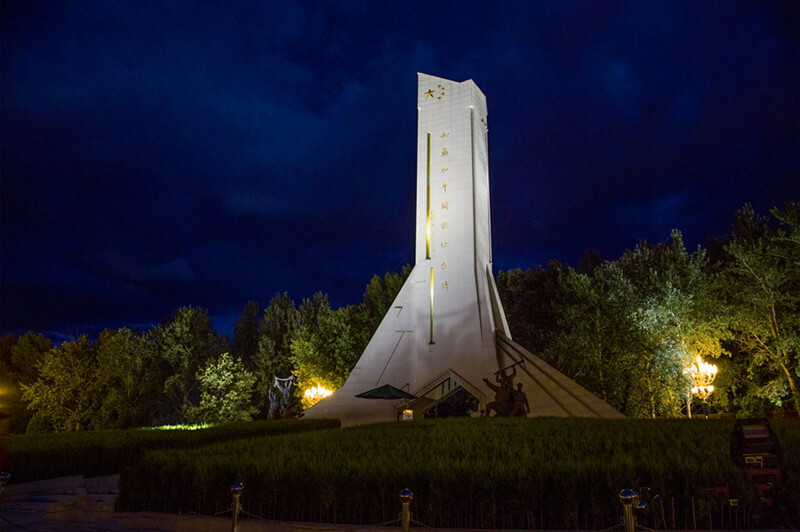 The project was completed after 8 years, and the White palace was founded. 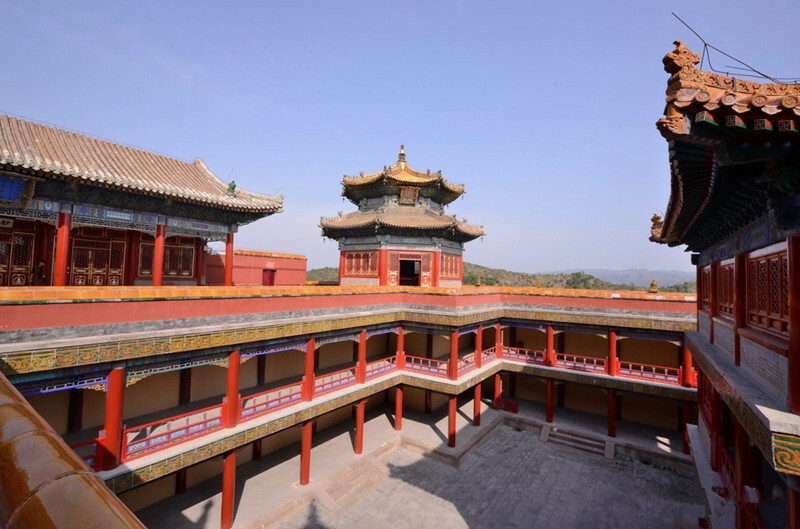 The 29th year in Kangxi period (1690), Diba Sangjiejiacuo directed the construction of the Red palace, and it began to have the scale of today’s palace. 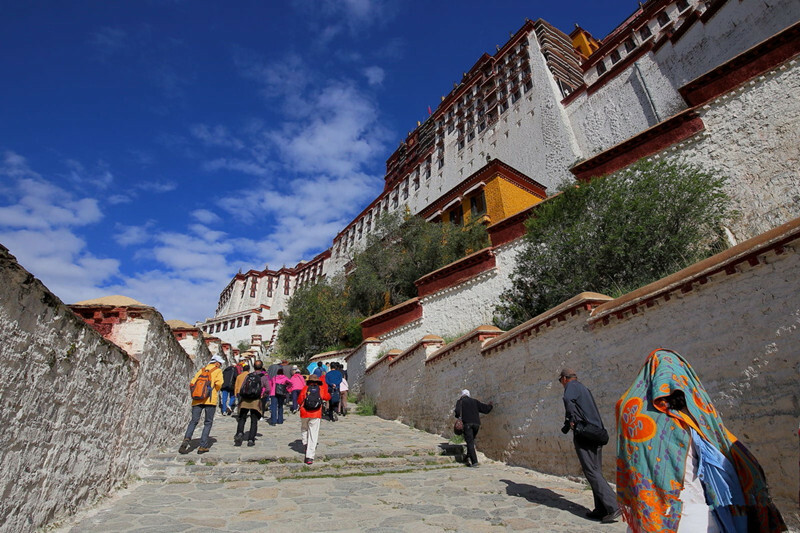 The foundation of Potala Palace was laid at the southern foot of the Red Hill, and the palace zigzags upwards according to the natural shape of the slope to the top of the hill. The principle building has 13 storeys, and the highest point is 117.19 meters high. 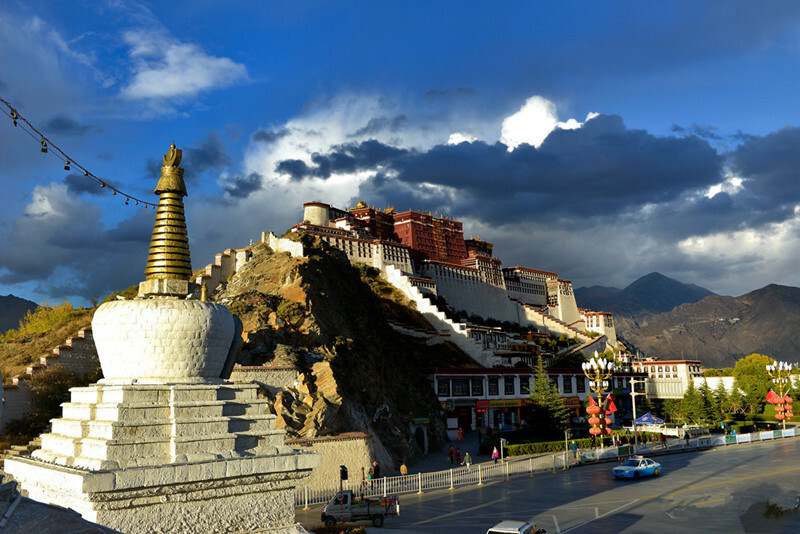 Its constructing area is 130,000 square meters. 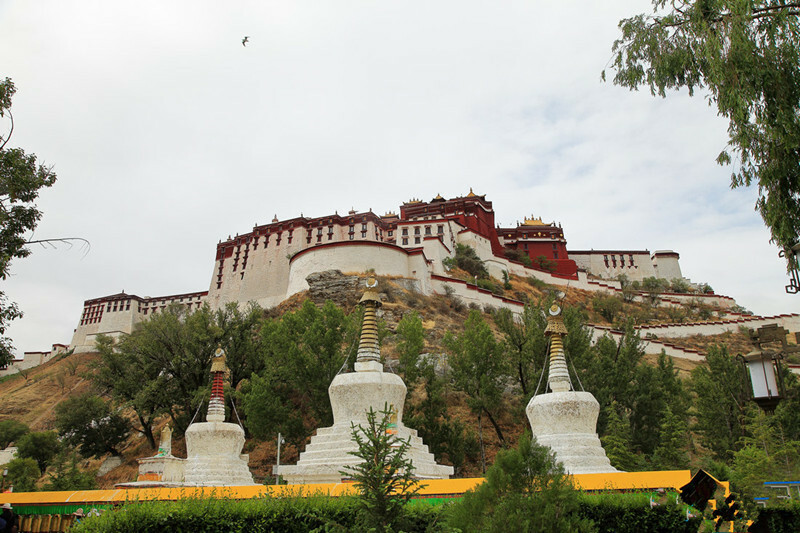 The palace is built with stone and wood, and the wall of it is completely built with granite. 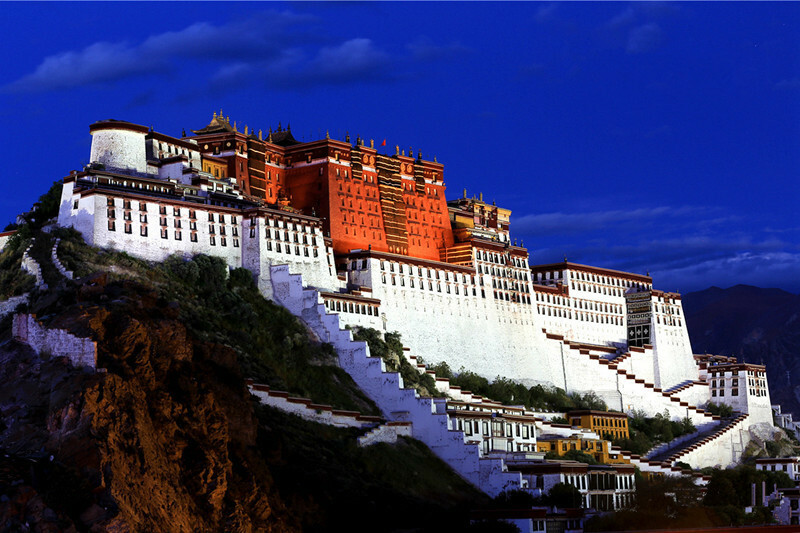 The red palace is in the middle and the white palace traverses it to both sides. Connected buildings pile up and are towering and grand. In the palace, galleried crisscross and carved beams and posts stand like forest. 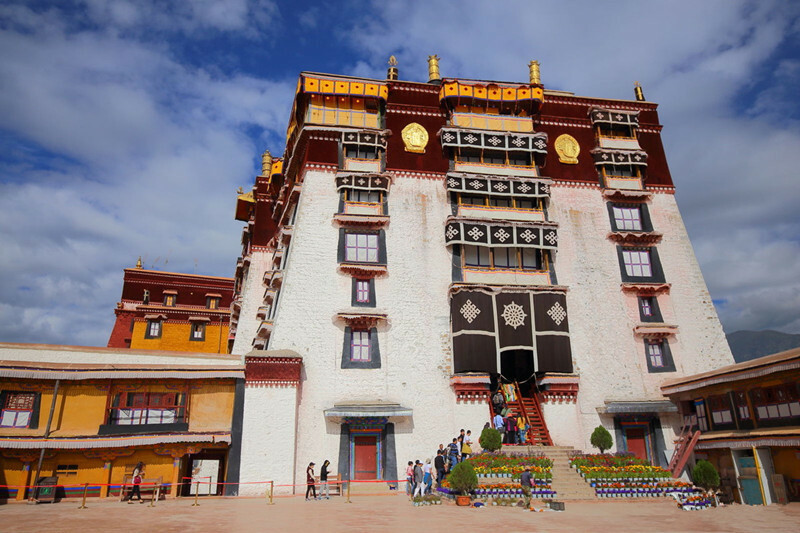 Palace, Buddha worshipping hall, sutra reviewing room, sleeping quarter, sitting room, Buddhist pagoda hall, Buddhist monk school, Zhasha (a place for Lama to live) and courtyard enhance each other’s beauty and become a integrated mass. 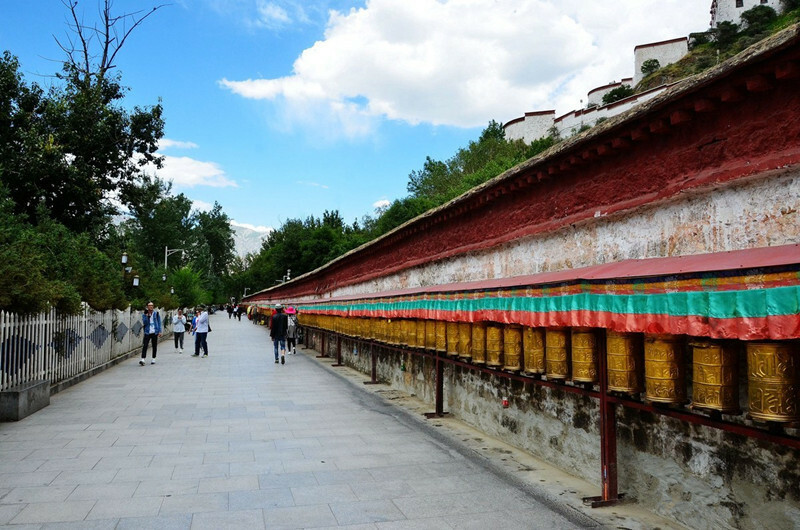 There are mainly Buddhist pagodas of past Dalai Lamas, assembly hall, Religious King cave, Pabalakang (Tibetan for “Bodhisattva’s palace”), the Triple World hall, the great eastern hall, the sunshine hall, Langjiezhacang (Tibetan, referring to the temple in the palace), etc. 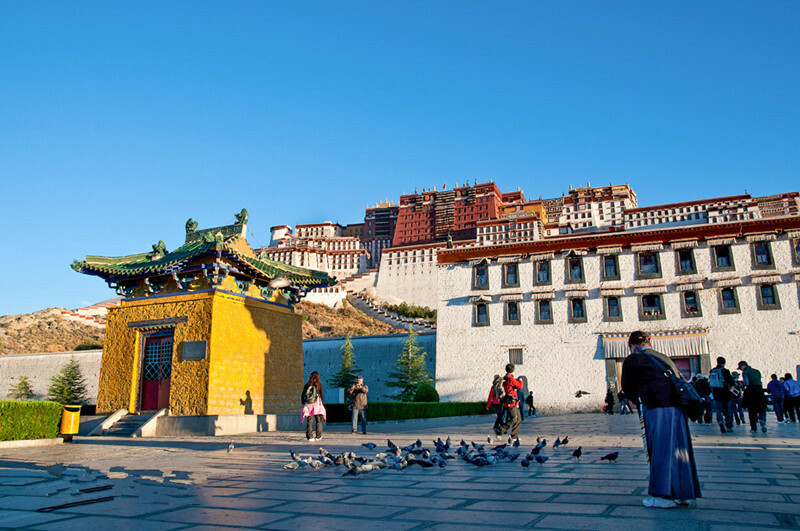 the Triple World hall is the highest hall in the Red palace, and portrait of Emperor Qianlong of the Qing Dynasty and a tablet with words “Long live the present emperor” written in Chinese Manchu characters, Mongolian characters and Tibetan are presented in the hall. 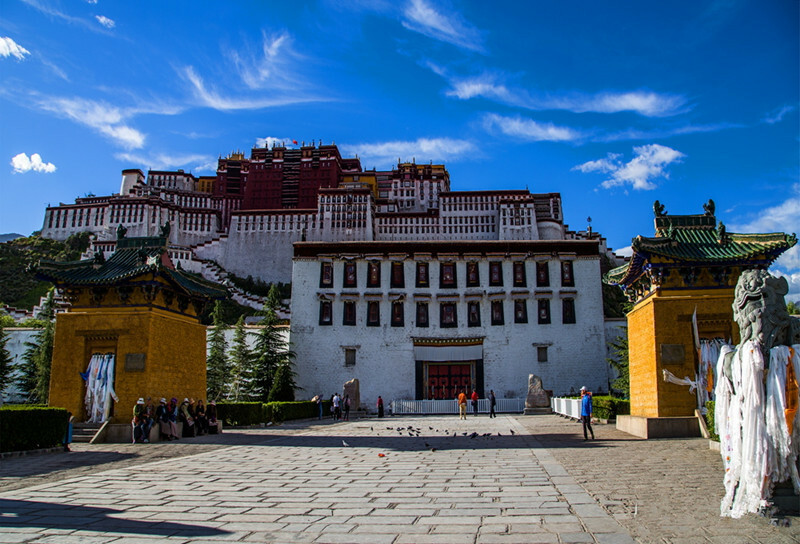 The hall is a site for holding significant activities for the minister to Tibet, the Dalai Lama and the Gaxia government, and the rite of lot drawing from gold urn is held there. 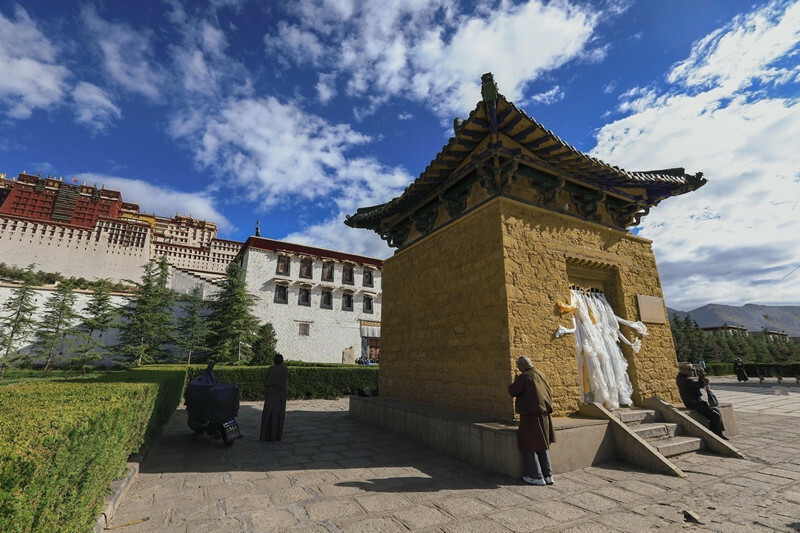 The great eastern hall is the biggest hall in White palace, and it is a place for successive Dalais to hold the rite of sitting on bed and for holding significant religious activities. The sunshine hall above it is sleeping place for Dalais, which is resplendent and magnificent, and is sumptuously furnished. 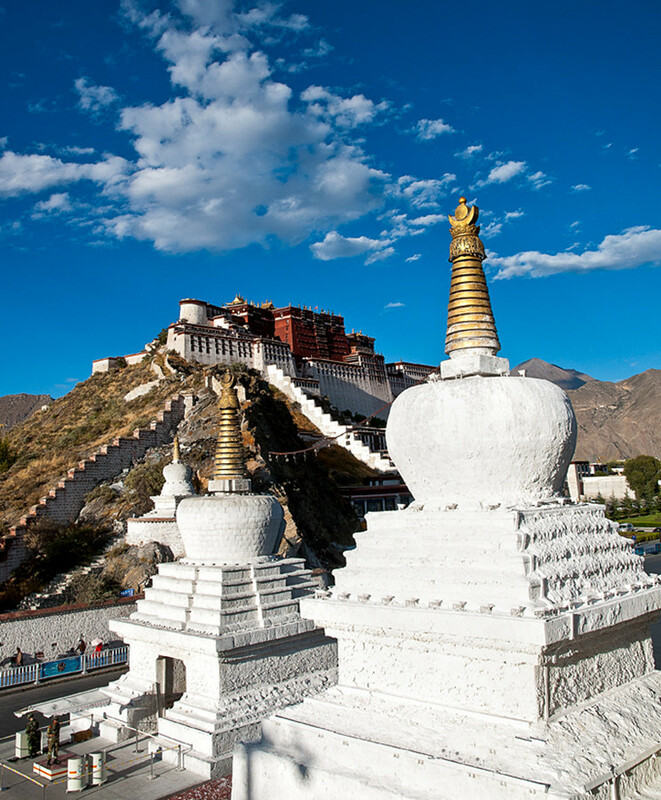 There are eight Dalai Lamas’ Buddhist pagodas with different sizes and the same structure. 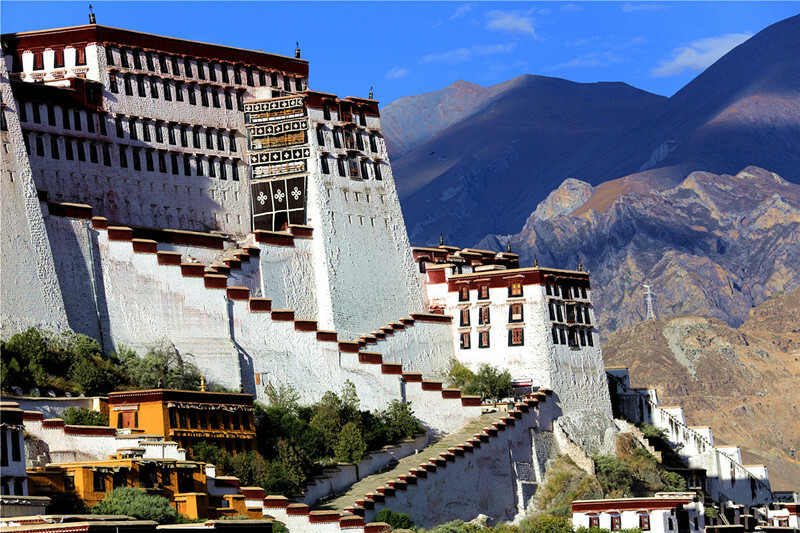 The Buddhist pagodas of the Fifth and the Thirteenth Dalais are the most splendid and magnificent among them. 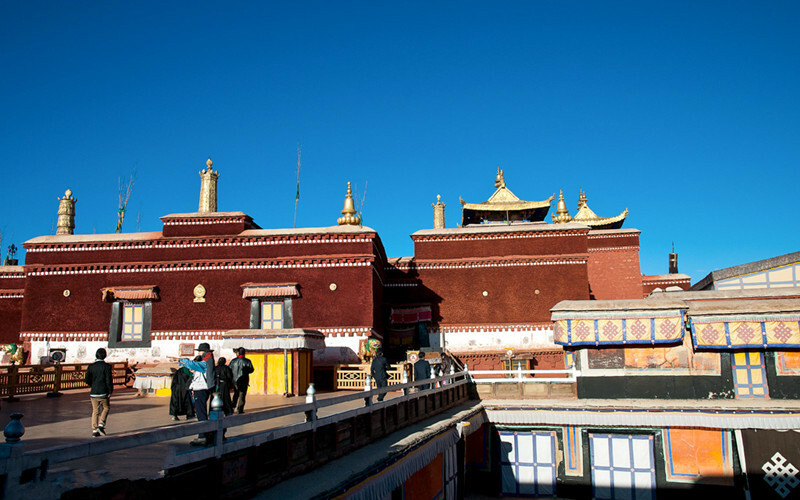 The pagoda of the Fifth Dalai was the earliest constructed and is the grandest. It was built in 1690, is 14.85 meters high, and is wrapped with gold and inlaid with jewelry, which makes it very bright and dazzling. 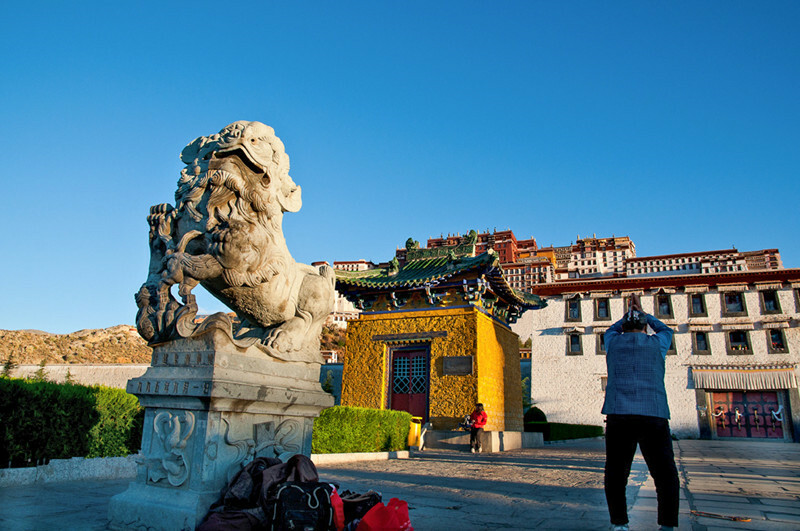 The pagoda of the thirteenth Dalai is the latest built structure of the Red palace. It was built in 1934. 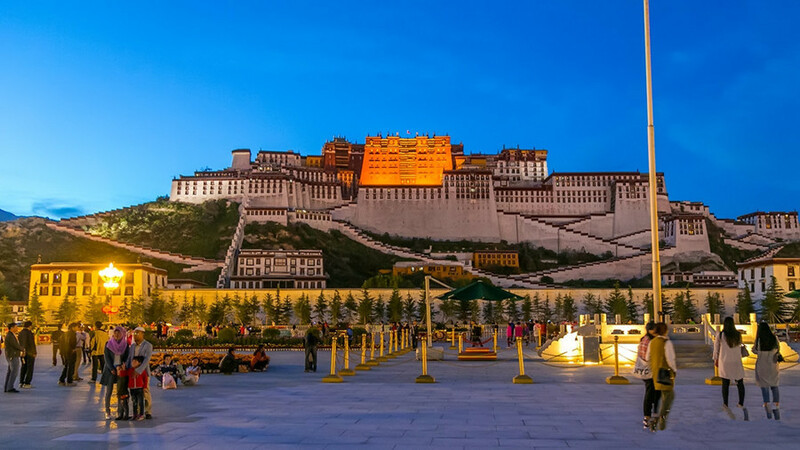 It is 14 meters high, wrapped with gold, is carved with such delicate designs as dragon, phoenix, flowers and eight auspicious symbols, and is inlaid with all kinds of jewelry, which make it very splendid. A silver statue of the thirteenth Dalai is presented in the hall, which is cast with silver. 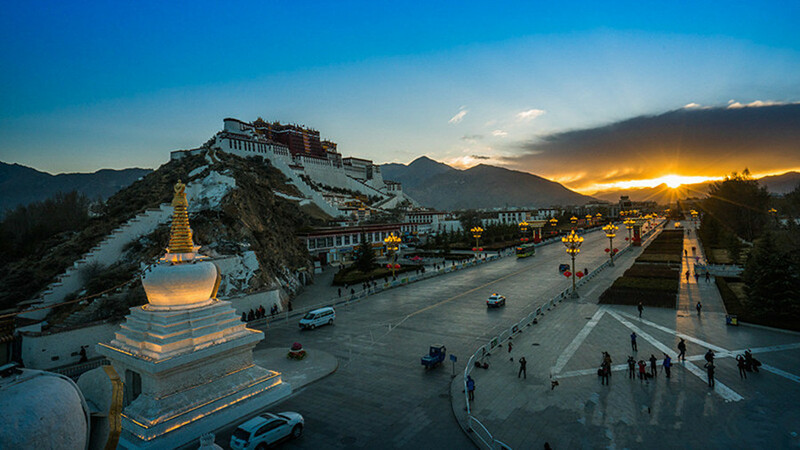 The pagoda Palace is a magnificent architectural work of art, and is also a treasure-house of fine cultural works and rare relics. 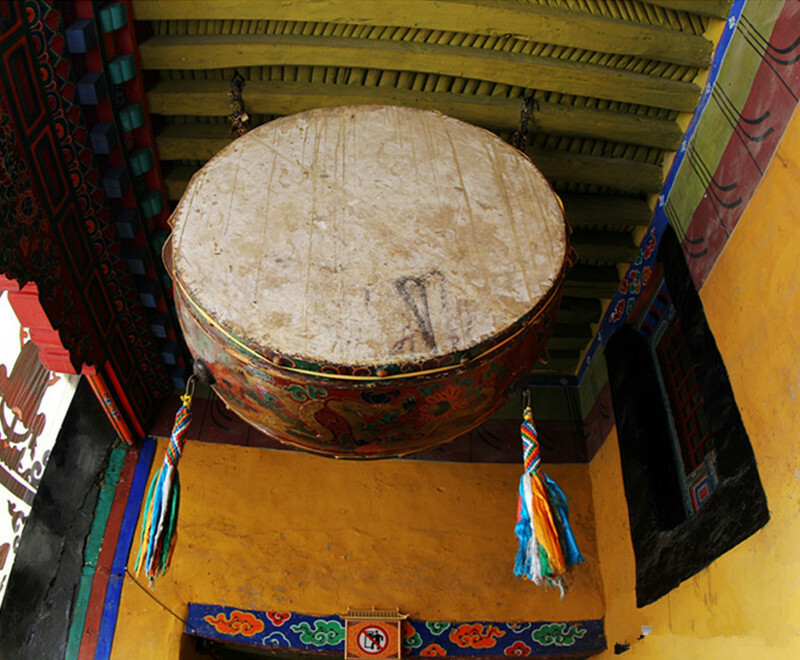 In addition to granting imperial edicts, imperial orders, specimen seal, gold book and jade book stored in the palace, there are many classics and scriptures written on leaves and many ancient records about medicine, history and literature, and large quantity of Buddhist statuses, musical instruments used in mass, Thangkas and frescos. 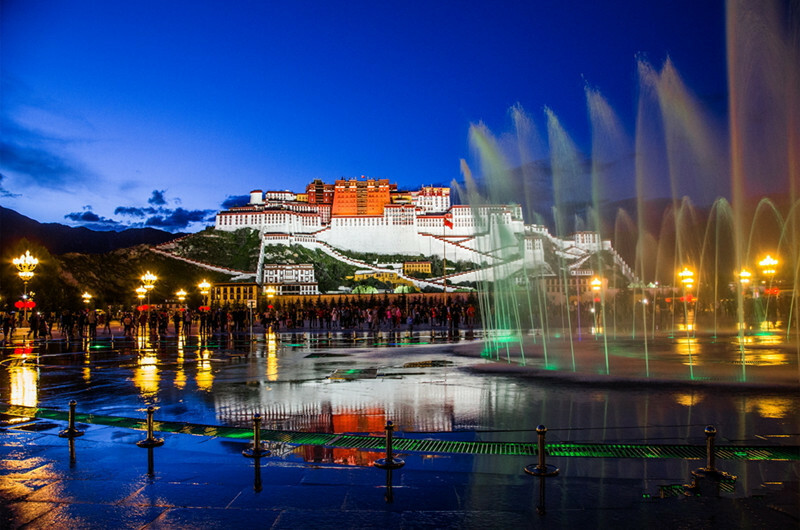 In December 1994, the Potala Palace was listed in the “List of World Culture Heritage” by the TSCO of UN.